Connect with a mentor from your dream university! Over 5 million international students applying to universities in the US and UK don’t get the opportunity to visit any university on their list. They lack information and have limited & unreliable resources to assist them through this process. This leads to a substantially low overall admissions rate of 10%. International students applying to the US and UK lack strong applications due to minimal information about the university. They rely only on rankings and information provided on the internet and university website. Many choose traditional counselors who charge an exorbitant amount for the entire application process and have very low admission rates of less than 10% on average. 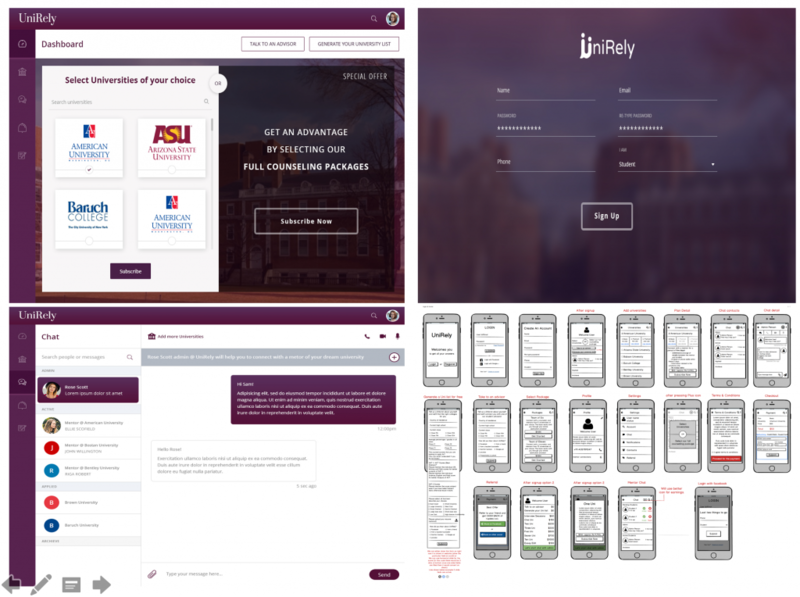 UniRely connects international students applying to universities abroad with a team of advisors and student mentors from every university of their choice for help with their application process. Our team consists of 300 specialized mentors who have coached over 150 international students with a 99% admissions rate. We make revenue though our paid counseling services. We would also be making revenue through paid advertisements and interactions on our mobile app as well as software. We have made $20,000 till date.